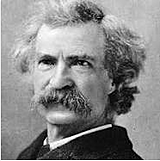 Mark Twain reportedly wrote, “I didn't have time to write a short letter, so I wrote a long one instead.” And while TV did not exist in his time, he might have said the same about TV ad effectiveness. While you are studying about TV advertising effectiveness, be sure to see our resources page on Integrated Marketing Across All Media. After benchmarking over 100,000 ads, of which approximately 1/3 are TV ads, we’ve seen an interesting dichotomy: overall, 15s TV ads outperform 30s TV ads across most KPIs, but especially for Purchase (which is a subset of Action). In general, 30s ads tend to outperform shorter ads only in Reputation. All too often we see ads that communicate the brand’s USP in 15 seconds and use the remaining 15 to repeat the brand name, repeat the message, or use filler to make the ad more interesting. But, that often detracts from the message and risks boring the viewer. If the l5s ad is nearly equal to the 30s in effectiveness, but costs less, why not consider? By clicking on the thumbnails above, you can view ads for Neutrogena's Cool Dry Sport that show how the extra length and additional cost of a 30s doesn’t buy us additional effectiveness. The shorter version does an efficient job of communicating the USP for the brand. The 30s shows an additional product feature, the ability to spray-on the product, but adds little else of substance and therefore dilutes the message being delivered. Make sure your 30s are delivering substantive information the entire length. If you’re not utilizing all 30 seconds to add substance, you might consider paring down the length. You’ll save money and will achieve the same or greater advertising effectiveness. To put this into perspective, Index values are a comparison of the results of an ad versus the average of all ads in the ABX database (100,000+ ads). For example, Neutrogena's 15s TV spot shows an overall ABX Index score that's 28% higher than the average for all ads, and a Reputation score that is 67% higher. Please follow this link if you'd like more information about definitions and methodology. The ABX ADvisory showcases top performing ads across all media types and in all industry categories. Sign-up today so you’ll be certain to receive each issue with valueable insights on top performing ads you can use to improve the effectiveness of your ad spending. ABX is also offering an e-book, “Four Key Performance Indicators to Decrease Advertising Risk & Build ROI,” to all readers, which shares insights gained from the world’s largest database of benchmarked ads. With this e-book, you will learn the characteristics of powerful ads and how your ads can be more successful in driving results. Just click below to see how to get your free eBook!